The Obama administration claimed an unmatched commitment to government transparency this week, even as it denied or delayed more requests for public information than ever, and claimed exemption from freedom of information laws. After announcing that its Office of Administration would no longer be subject to the Freedom of Information Act (FOIA) on the National Freedom of Information Day, the White House released a report on FOIA requests in 2014. “We actually do have a lot to brag about,” White House spokesman Josh Earnest said about the report, which claimed success in quenching the public’s thirst for government transparency. It was released during Sunshine Week, a mid-March US tradition for the past decade. Actual facts and figures in the report, however, paint a very different picture. Individuals, organizations and companies filed a record 714,231 request for information under the in 2014. Only 647,142 of those requests received a response, a 4 percent decrease from 2013, according to an AP analysis of the report. So the White House actually beat its own record – in censorship. However, in 215,584 instances the response was that records could not be found, the requests were unreasonable or improper, or the person or persons filing the request refusing to pay for copies. Many FOIA requests are effectively stonewalled by outrageous fees. The Electronic Frontier Foundation reported that one journalist who asked the Drug Enforcement Agency (DEA) for files on the arrest of Mexican drug lord Joaquin “El Chapo” Guzman was told the files would cost him $1,461,712. In 2014, the federal government spent $434 million on fulfilling FOIA requests – and $28 million paying lawyers trying to keep certain records secret. Out of 100 federal agencies, more than half took longer to answer requests in 2014 than the year before. And the length of time they took to respond ranged from one day to over 2 years. In fact, AP sued the State Department over a request that has been languishing since 2010. At the end of 2014, the backlog of unaddressed FOIA requests stood at over 200,000. Perhaps in part because 375 employees - almost 9 percent of federal staff tasked with dealing with FOIA requests – were laid off. FOIA allows the government to refuse to disclose information when doing so would “hurt national security, violate personal privacy or expose business secrets or confidential decision-making.” In 2014, it invoked this justification in response to 554,969 requests, including some from previous years. 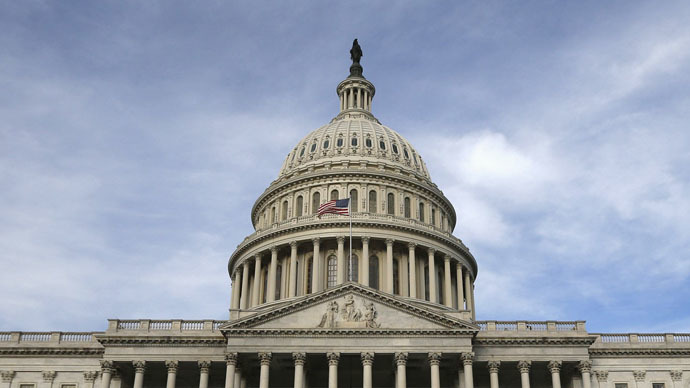 Though it was approved in both the House and the Senate, a FOIA reform bill died a quiet death in Congress last December, with House majority leader John Boehner refusing to put it up for a final vote. It later emerged that the Department of Justice was objecting to some of the language in the bill – even though it was identical to their own FOIA policy. “The systems created to give citizens information about their government are badly broken and getting worse all the time,” Gary Pruitt, the CEO of Associated Press, wrote in a commentary on Tuesday. The Freedom of Information Act (5 USC § 552) was signed into law in 1966, and enacted in 1967.